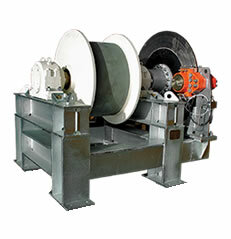 Eilbeck Crane successfully delivered a repeat order counter weight winch located on the tail end of existing conveyor at Alcoa Myrar Mine site in West Australian with a line capacity of 24 tonne line pull with 190 m rope capacity of 44 mm diameter rope. 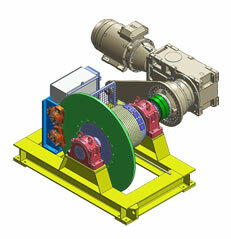 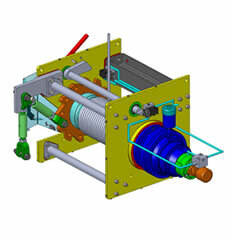 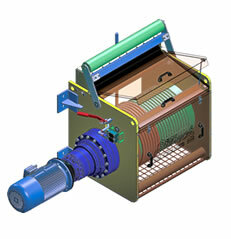 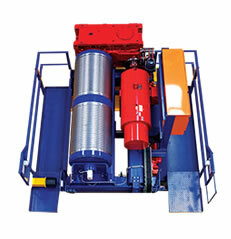 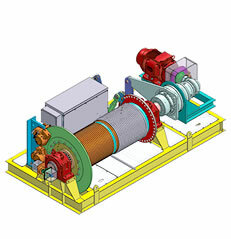 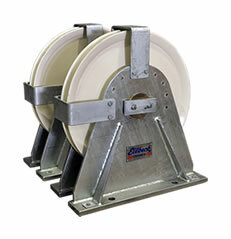 The winch was designed with client specified improvement on the 2003 yr winch supplied to allow the gear motor to be removed whilst the winch still maintains full load by the use of large turnbuckle which links onto the drum allowing pretension of the drum, along with safety pawl mechanism. 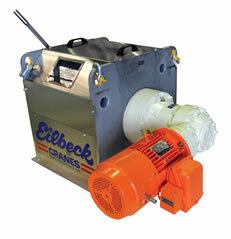 The manufacture was carried out in Eilbeck Crane new winch factory set up in Sydney Ingleburn where winches for all around Australia are being manufactured, assemble and tested.